Stonebwoy’s beautiful wife, Dr Louisa, has congratulated her husband after he was adjudged the Best Reggae/Dancehall artiste in Africa at the just ended AFRIMA 2018. The 2018 version of All Africa Music Awards (AFRIMA) successfully took place at the Accra International Conference Centre with an awards celebration. The famous awards which were folded with three days activities including a free concert on Thursday night at the Independence Square finally came off on Saturday, 24th of November at the country’s capital. 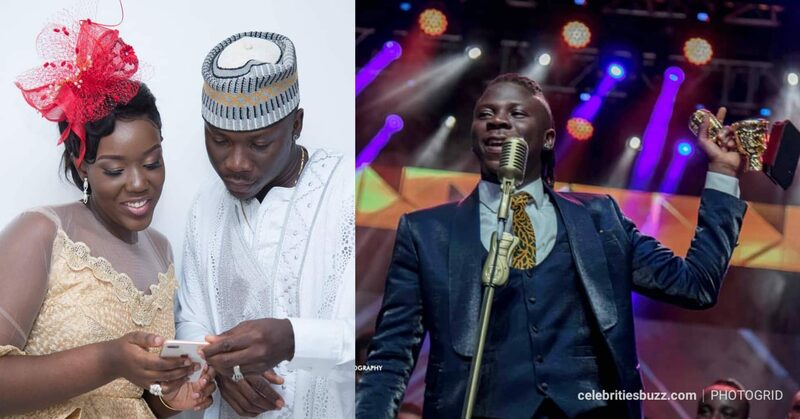 Stonebwoy emerged the winner in that category as he beat a strong contest not only from his rival, Shatta Wale but the other notable names such as Nigeria’s Burna Boy, Patoranking, Diamond Platnumz, DJ Moh Green, Jah Prayzah, Roberto, Sauti Sol, Van and Ghana’s MzVee. 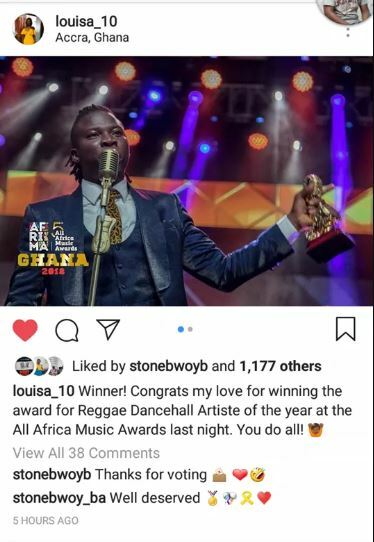 Well, Dr Louisa took to her Instagram page and heaped praises on Stonebwoy and expressed her joy after he won the prestigious award. “Winner! Congrats my love for winning the award for Reggae Dancehall Artiste of the year at the All Africa Music Awards last night. You do all!”, Dr Louisa wrote. Stonebwoy also under the post thanked her wife for voting.